This is what we call bringing your A-game. 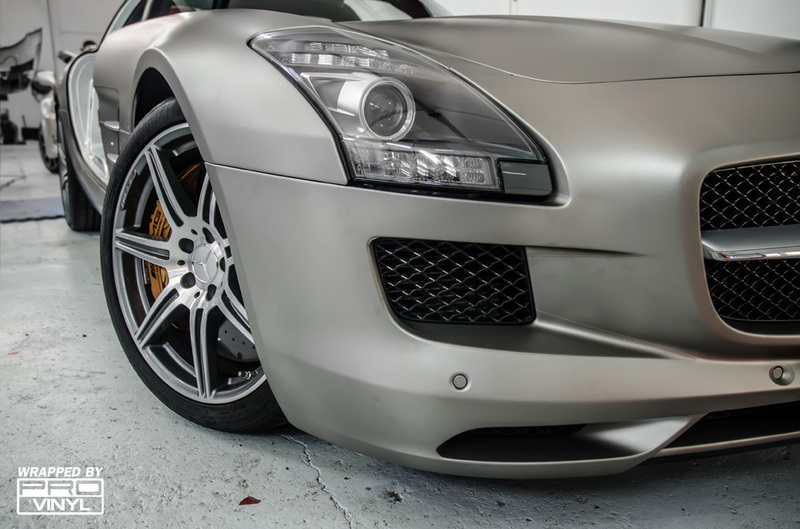 This week job of doing a full wrap on this amazing Mercedes SLS AMG was a sheer pleasure. on a car such as the SLS. 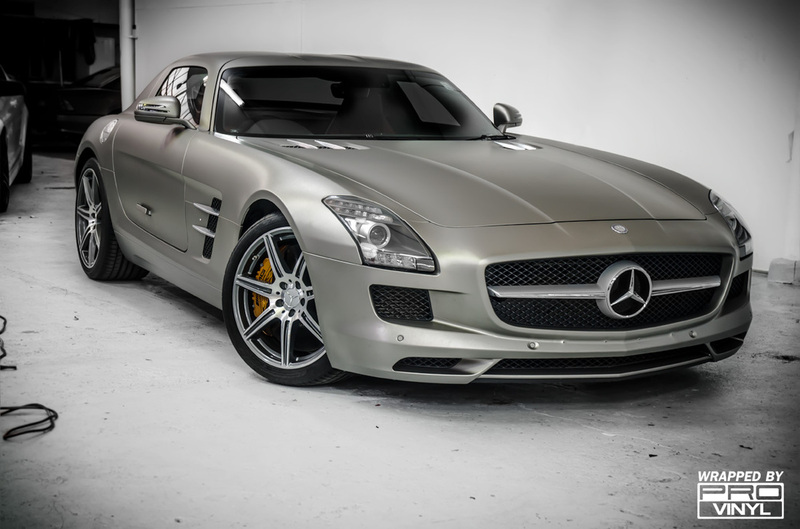 With a wrap in 3m matte gray aluminum we have taken a plain SLS AMG and given it the extra flare that a car of this nature should have by defualt. 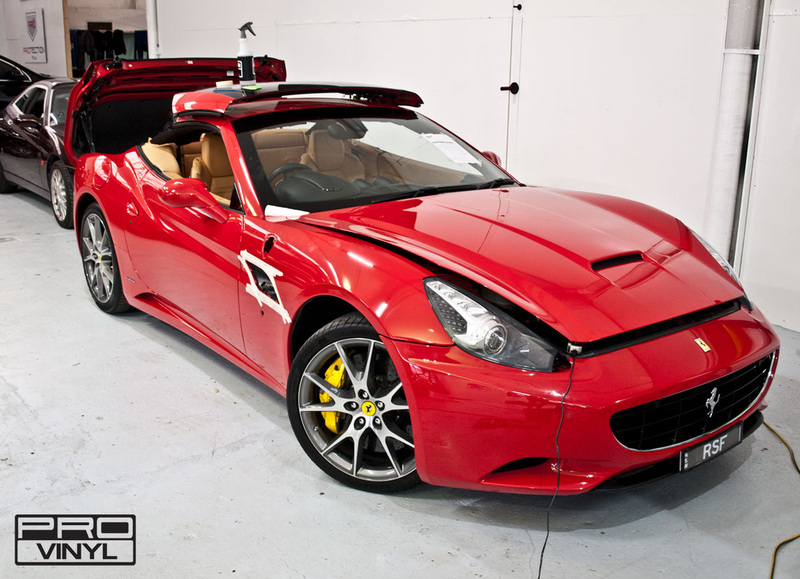 Once again proving that even the best supercars can be improved with the use of a little imagination! 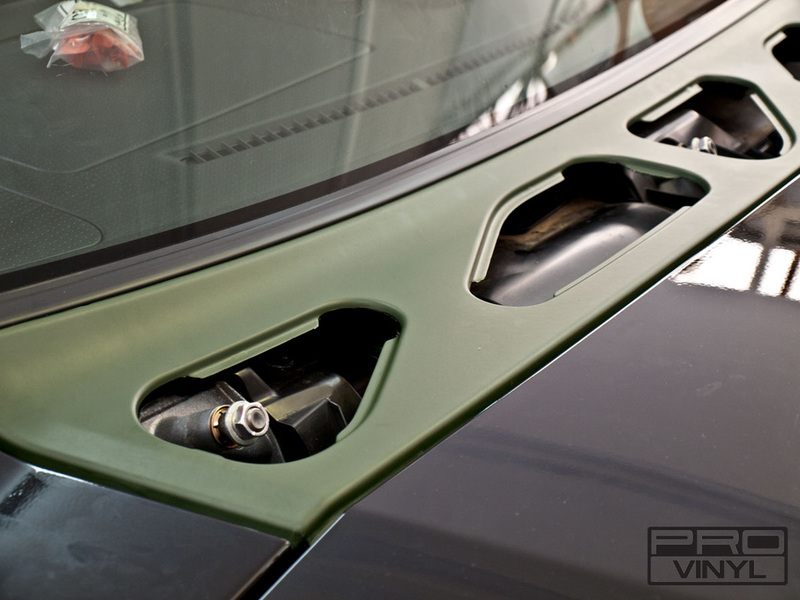 Outside of all the cosmetic wraps and customizations PROvinyl is also contracted by dealerships when a special package unique to their dealership is desired. 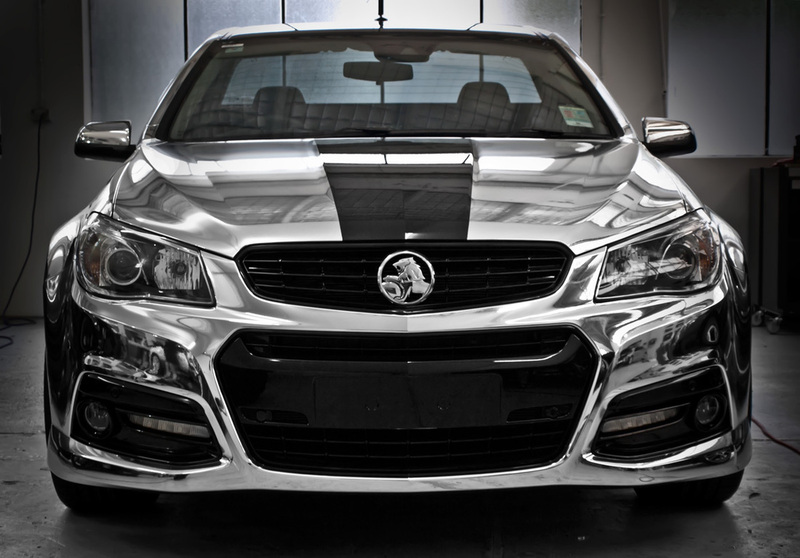 Our friends at Camden Valley motors had come up with the idea of selling a special half chrome wrapped VF commodore they would later dub the ALIEN PACK! 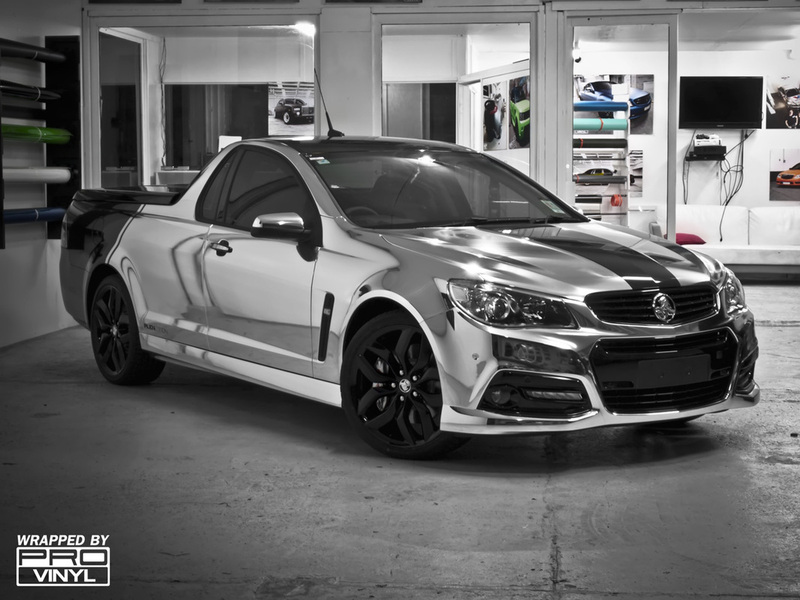 With the basic idea in place our team set about bringing the vision to life and began sculpting the chrome over the panels of the brand new commodore leaving the roof and rear section of the tray in the original gloss black paint. The introduction of the chrome into the black was left to PROvinyl to decide on and after some careful consideration we had decided an angle cut just past the cab would be the best point to end the chrome and for a smooth introduction of the chrome to the black a sub stripe is used to soften the blow of the end of the chrome. 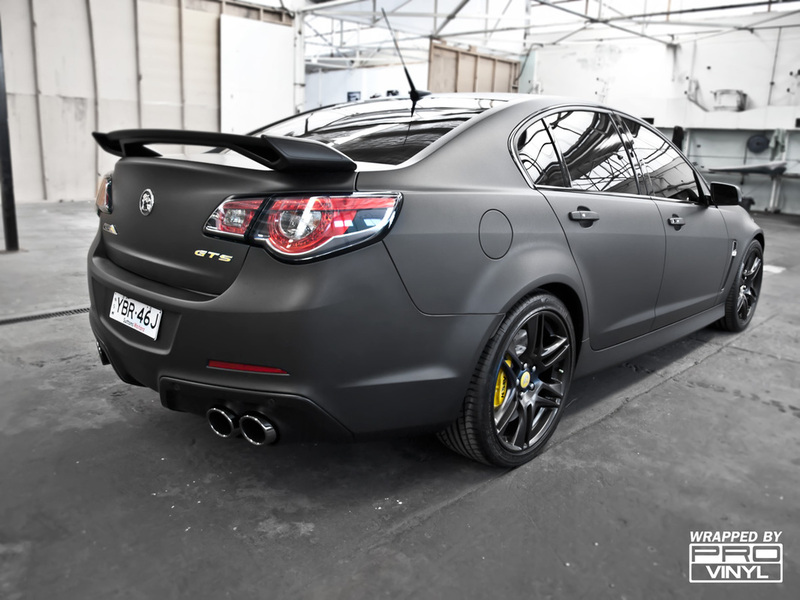 The brand spanking new HSV VF GTS. 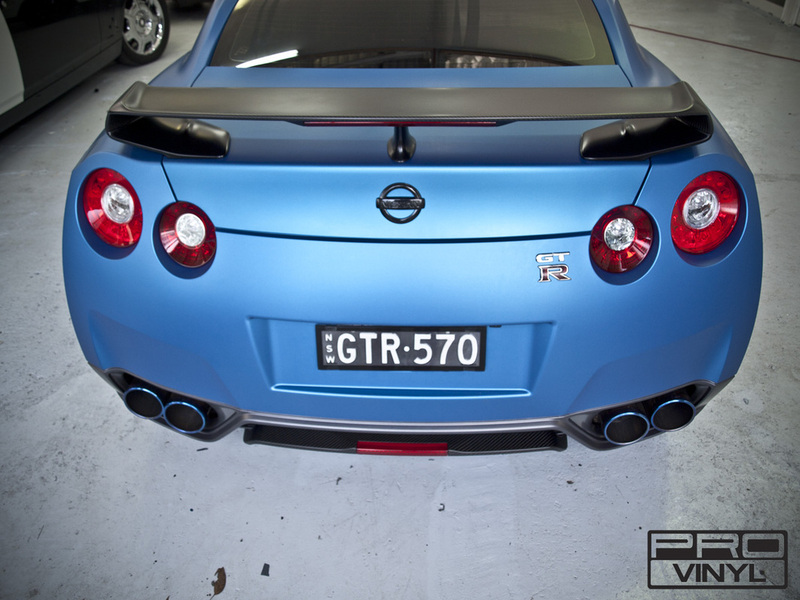 A monster of a car at 430KW this thing means business! 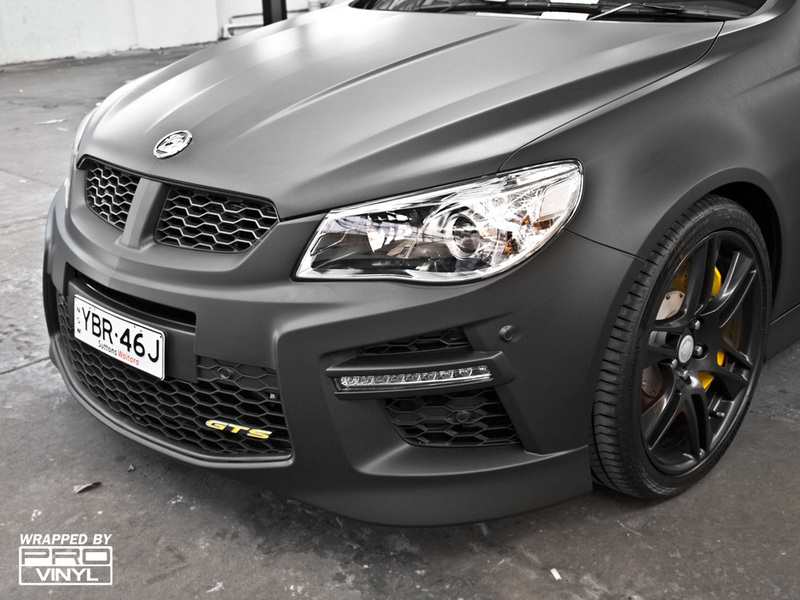 After an 8 month wait by the customer to take delivery of the new HSV it was handed over, driven out of the dealership, over to Rosebery and into the PROvinyl workshop as the first priority for the customer was a full matte black wrap to make the car even more evil than it already was. 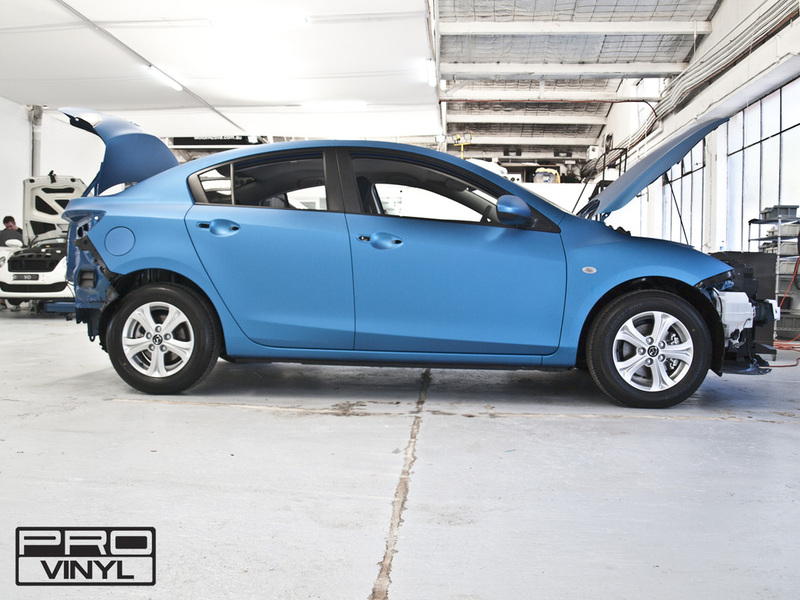 With the wrap done we then gloss black wrapped the window trims to mute them out and bring the tone a bit more in line with the rest of the car. Congratulations Steve, that’s on tough piece of Aussie muscle! 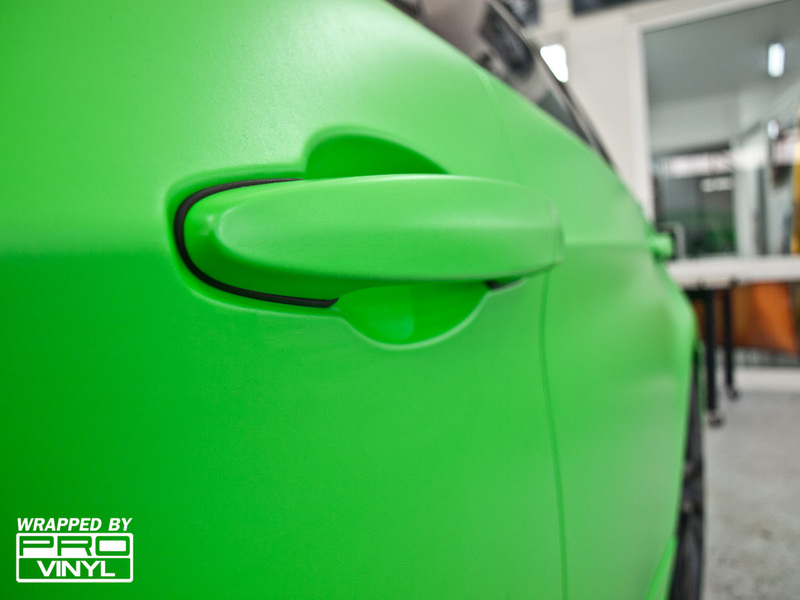 Sometimes it can be hard to imagine a car in a particular colour. But in the case of this bmw the owner knew exactly what he wanted when he came through our door. 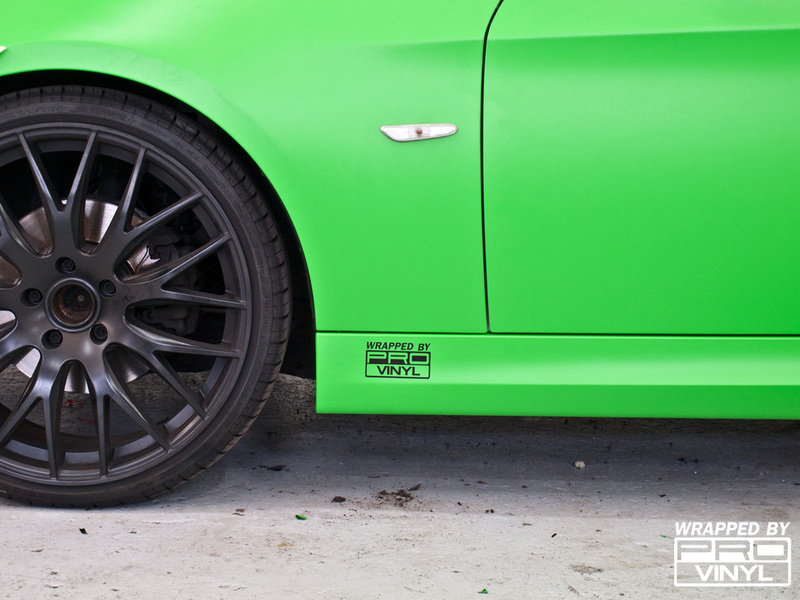 With his intentions clearly set on wrapping the car green we spent some time looking through the many shades of colour we have in the range with the decision of this hexis matte green being the final choice. 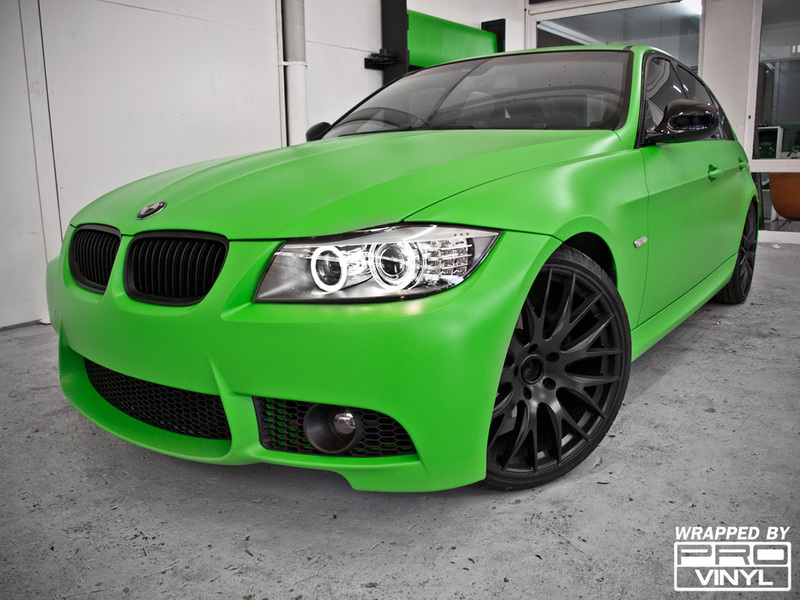 Once the car had been delivered to us we set about wrapping the car in the new exotic green skin slowly transforming the drab, boring BMW into a new, one of a kind super saloon car. 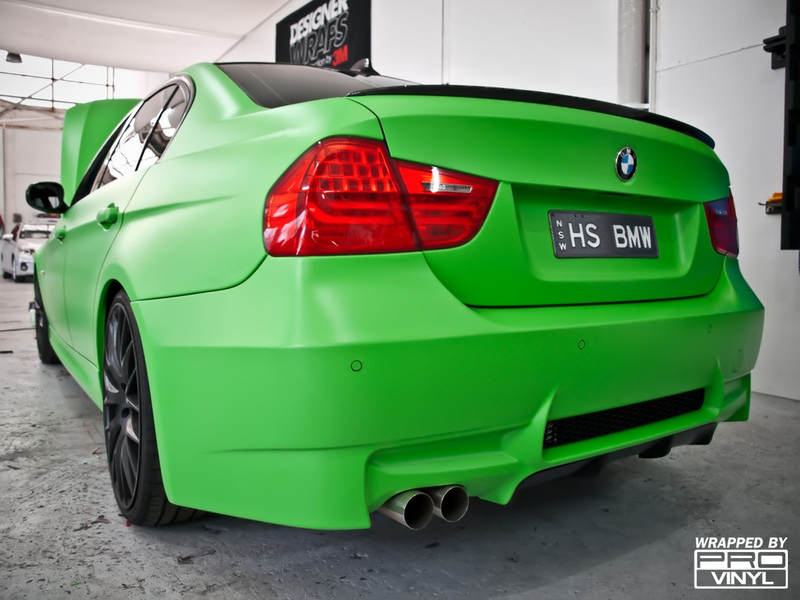 With the green wrap done and the car ready to hit the street the owner asked if we could put the ‘wrapped by provinyl’ stickers on the sides and on the back window. 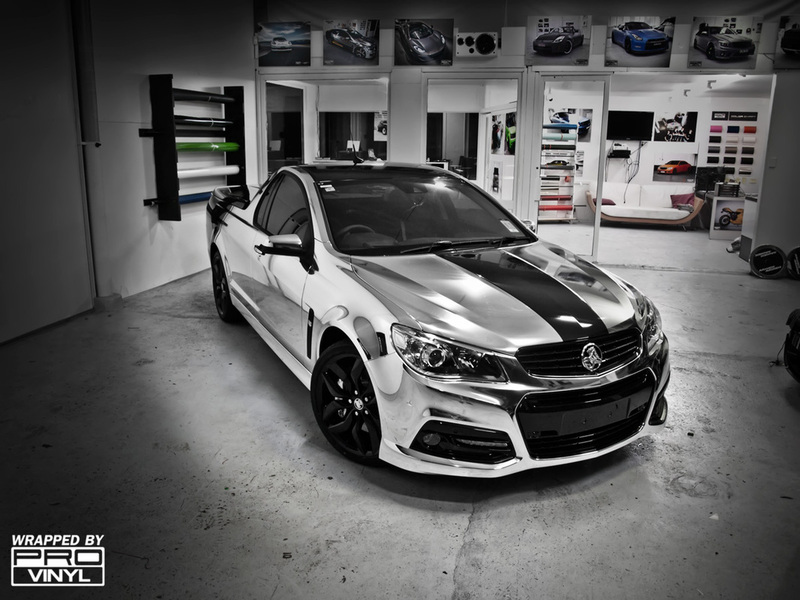 This is becoming a badge of honour for people as they want the people that see the car to know it was wrapped by the best in the game. 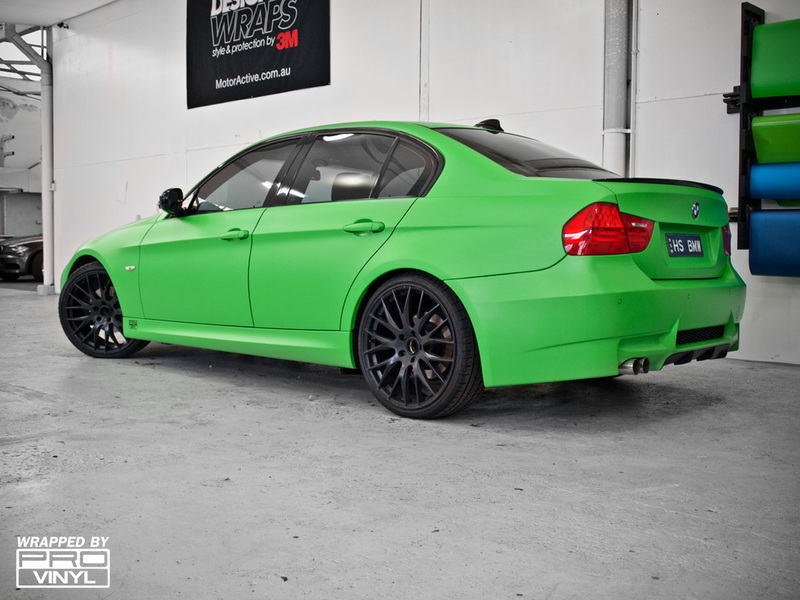 Congrats to Hussein on having one of the hottest looking BMW’s around! 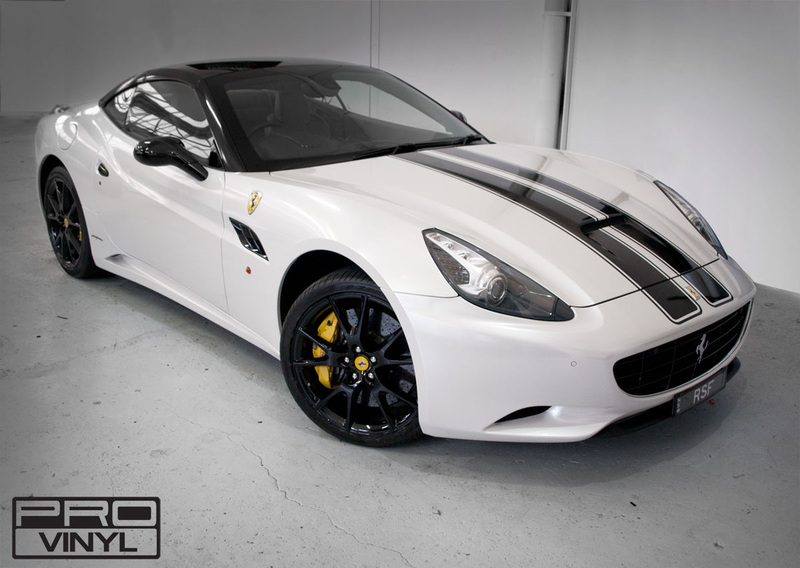 The Ferrari California is a classy car. This V8 powered convertible is a pretty car and a beautiful Sunday drive. 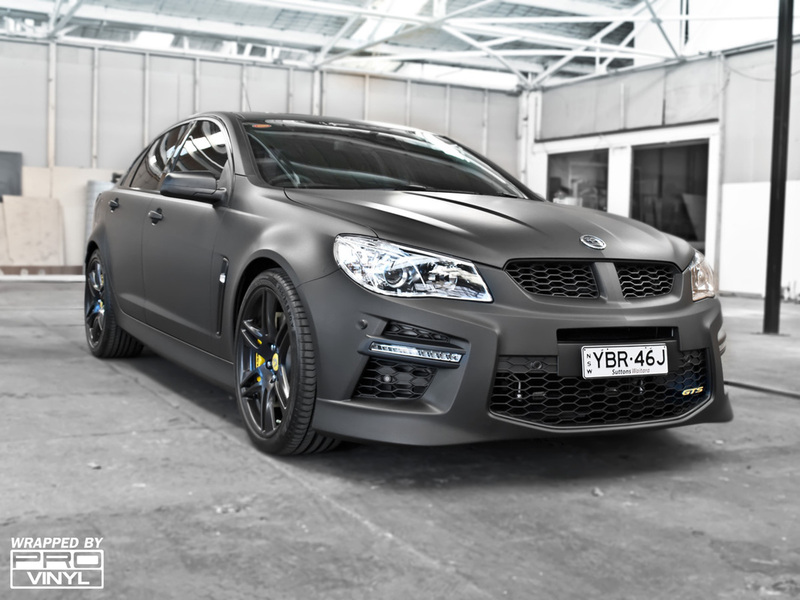 But… what if you owned it for a couple of years and you wanted to have a car that looked a bit more sporting, aggressive even. 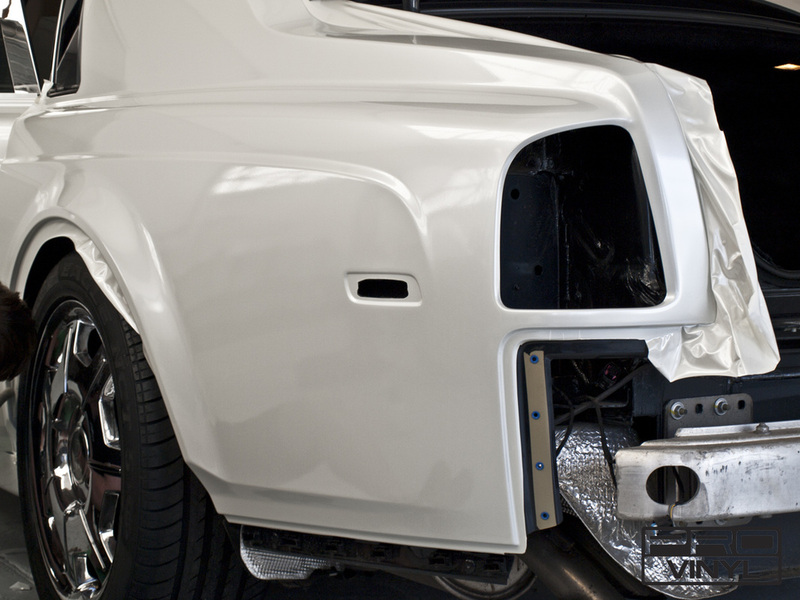 Well what you do is call us at PROvinyl and let us transform it! So now we have gone from a plain, all red California to what you see here. 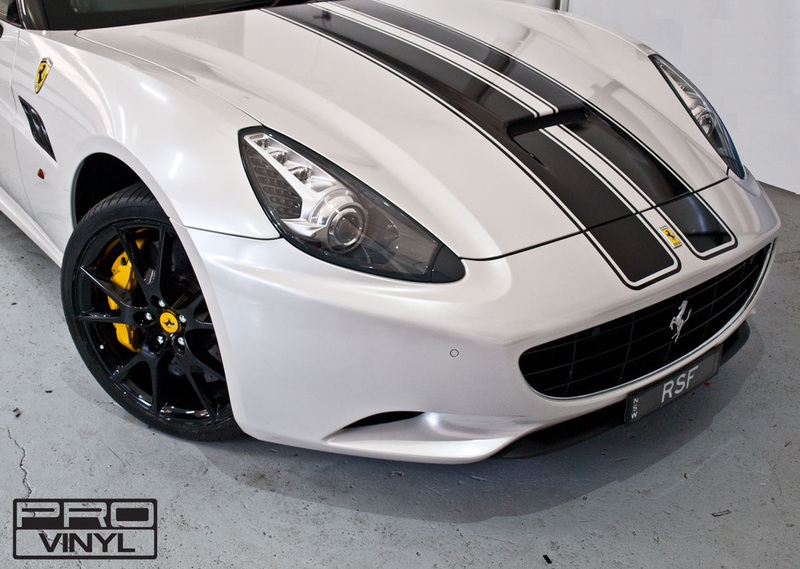 A gloss pearl white California with a gloss black roof, gloss black wheels and custom GT stripes to seal the deal. I think you will agree that you wont be mistaken for a soft touch when you roll up beside somebody at the traffic lights in this! 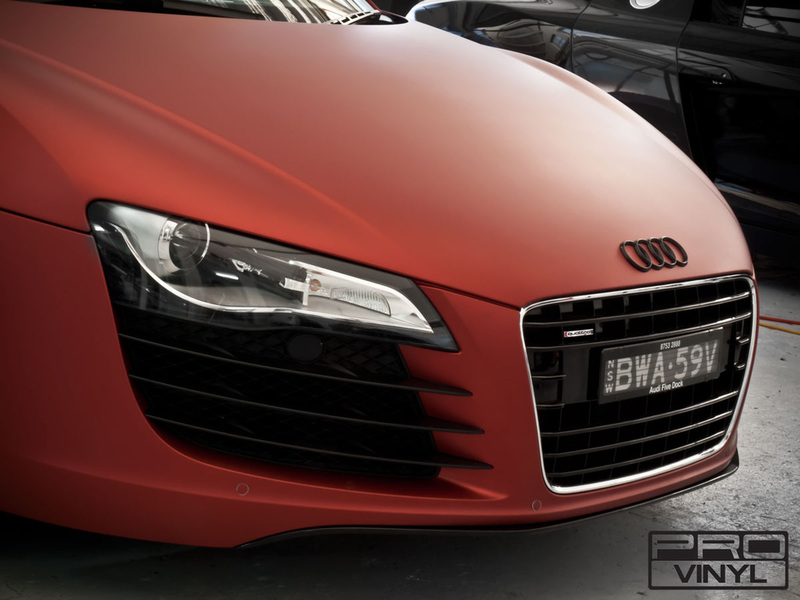 An Audi R8 has a presence by default. But… and I won’t beat around the bush here. 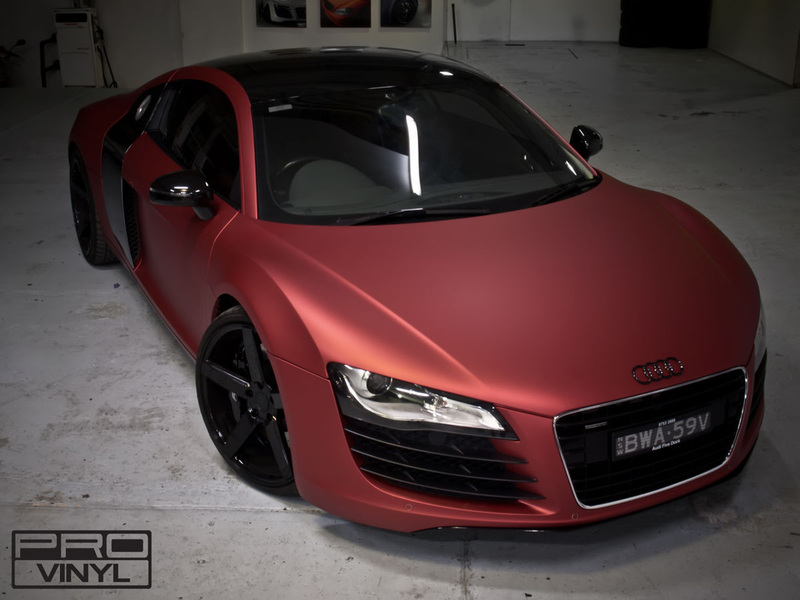 This week we created the best looking R8 any of us have ever seen. Our customer came in with the already wrapped R8 ready for a freshen up and a change of colour with the idea of pearl white in his mind for the new look. 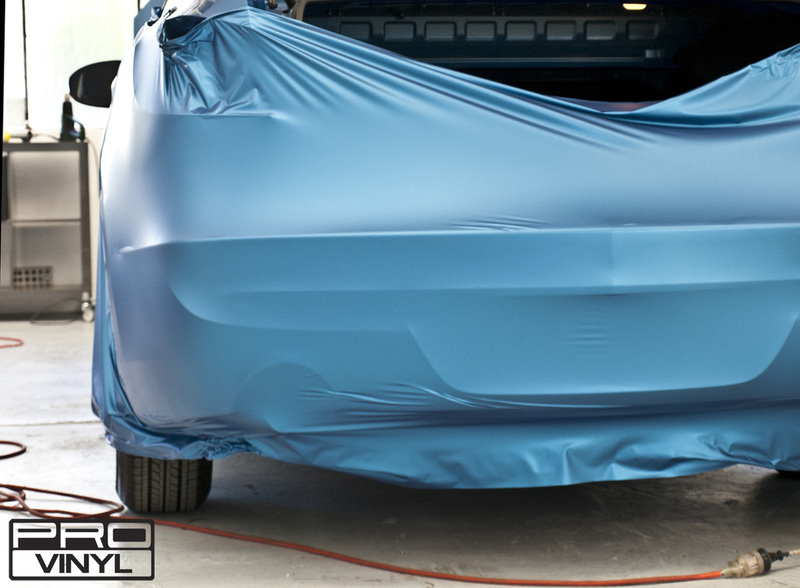 We at PROvinyl are strong believers that if you have the opportunity to change your car then it is good to think outside the box a little. The owner left us his R8 and said “come up with an idea and give me a call”. 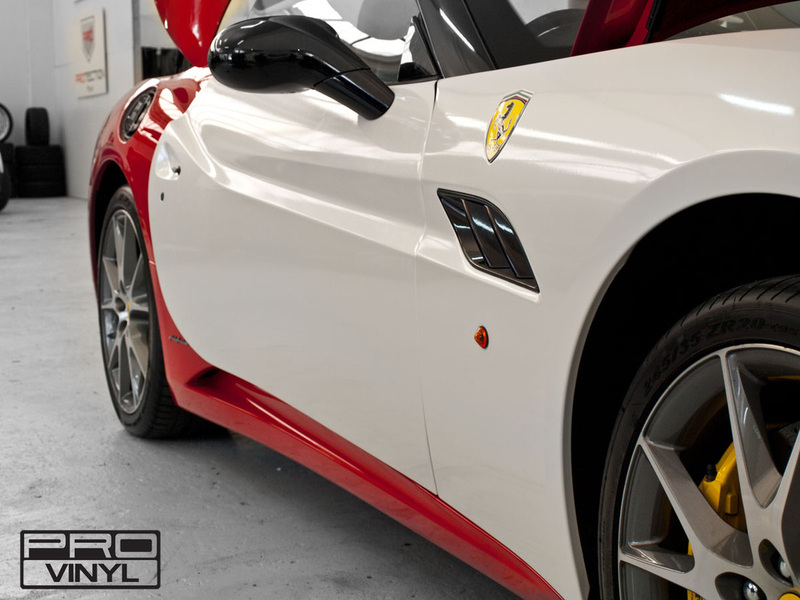 With some careful consideration and brainstorming from the PROvinyl team we settled on a package of a matte RED ALUMINIUM body with a gloss black roof, side blades, wing mirrors and rear airbrake. 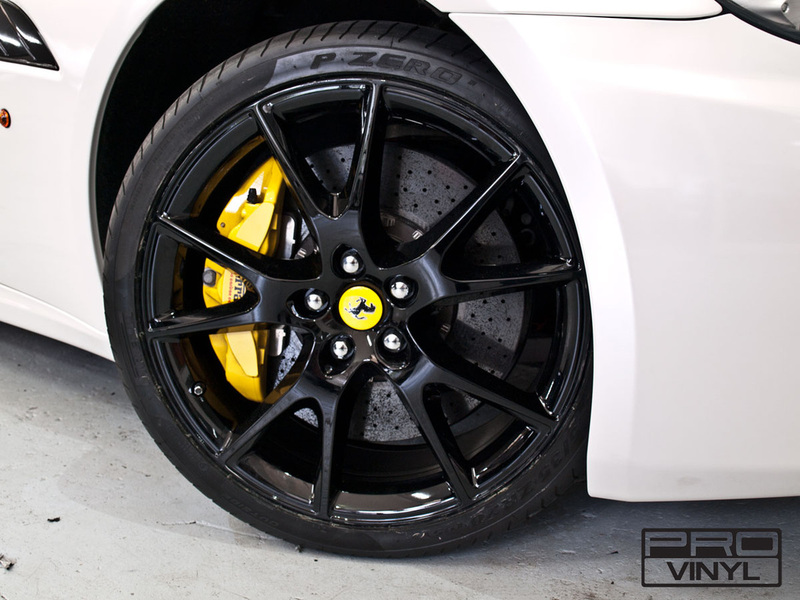 PROvinyl also performed a brake caliper spray in gloss black and some new R8 emblems to replace the yellow that no longer suited the car. The rest of the story I believe can be told by the images. RUN AWAY!.... 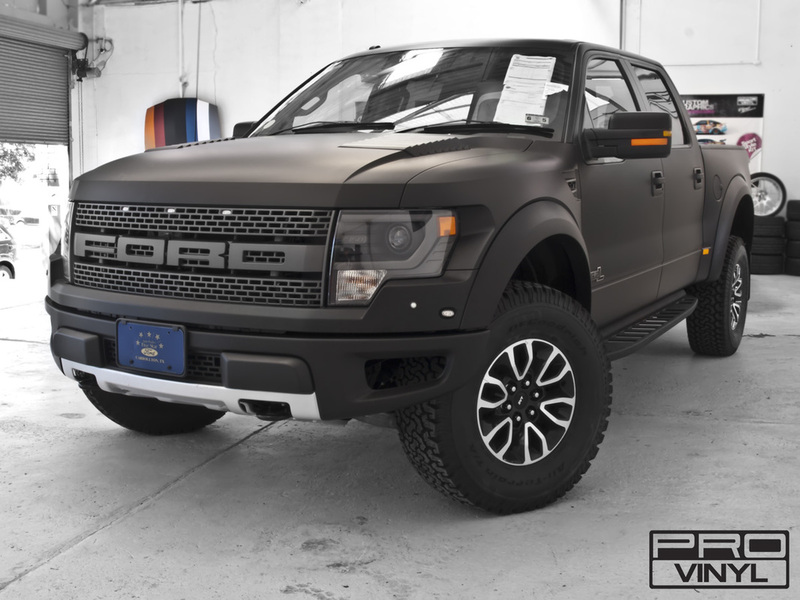 Probably a sensible thought when a matte black ford RAPTOR is headed your way. Mean is an understatement when describing this road going, borderline BAHA race truck with its enormous size and bulldog stance. The matte wrap from PROvinyl adding the finishing touch to this freshly imported American monster truck proving once more that our team can make any car more interesting regardless of if it already looks like MR T will jump out and scream GET OUTA THE WAY FOOL! 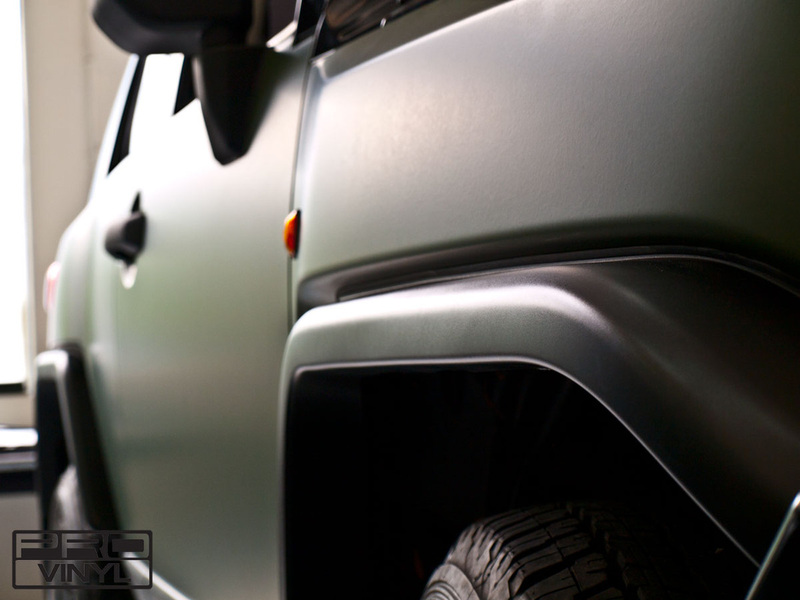 FJ Cruisers in matte military green. 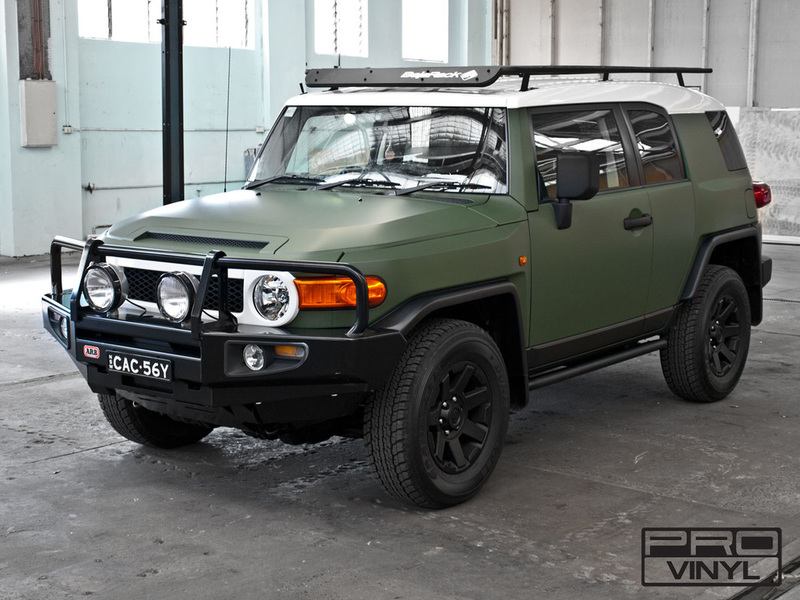 If you happen to be G.I Joe or you took a wrong turn and found yourself in Jurassic park then it would definitely be a good thing having a matte military green Toyota FJ Cruiser. 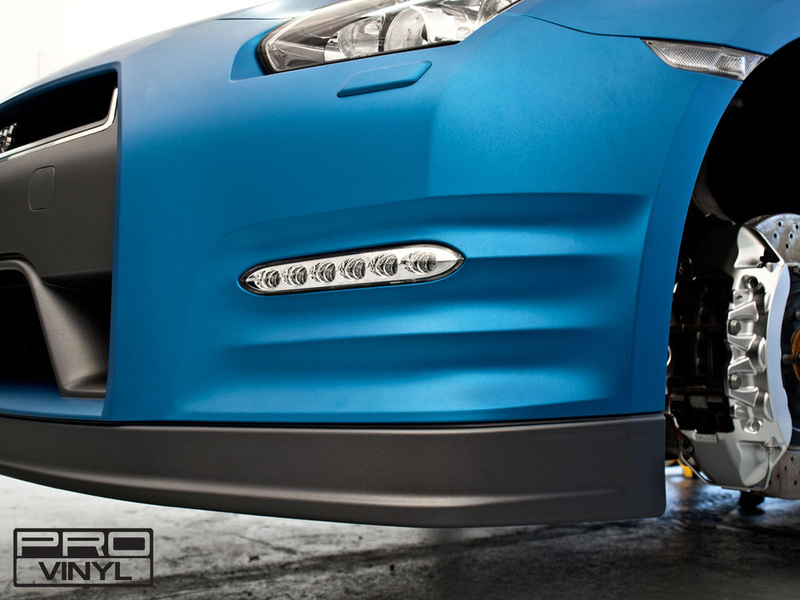 As a measure for stopping T-rex from chomping on you like a chew toy the car cannot be faulted. 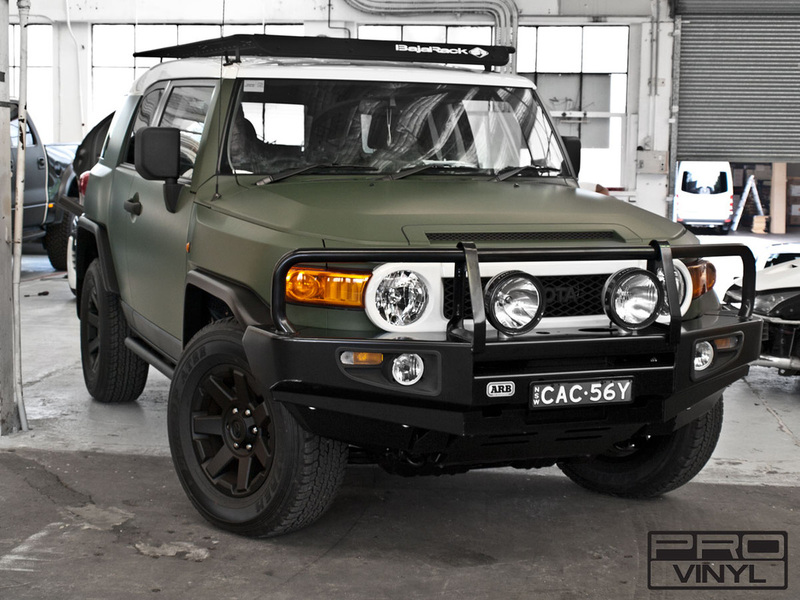 This weeks tasks for the PROvinyl platoon included the wrap on this fj to toughen the look up and separate the owners FJ from all the plain and ordinary FJ Cruisers out there. Mission accomplished! 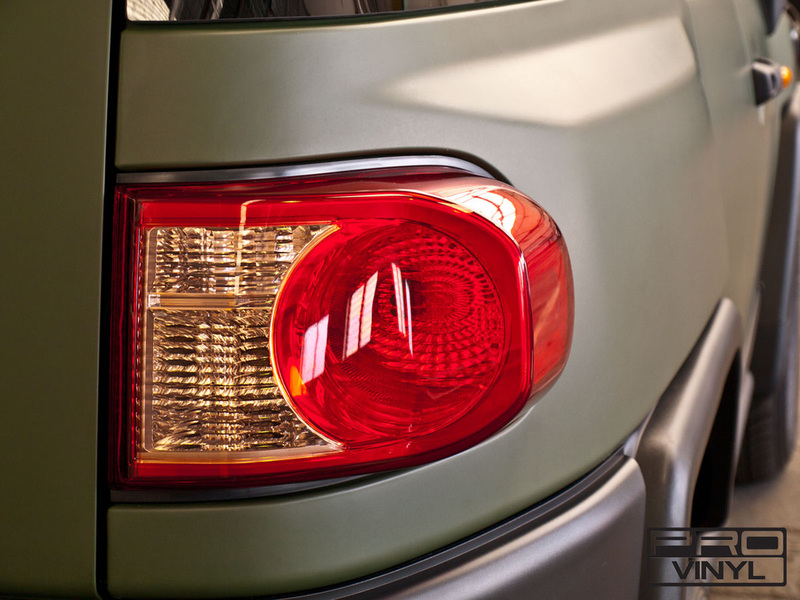 Not to be mistaken when it rolls up in a neighborhood near you this FJ is ready to hit the streets. 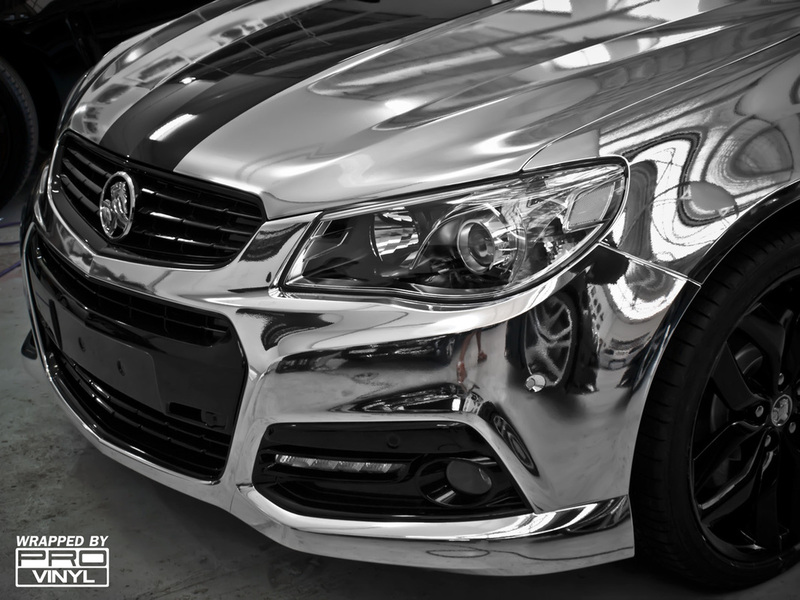 Is there anything 3m vinyl wrap can’t do! 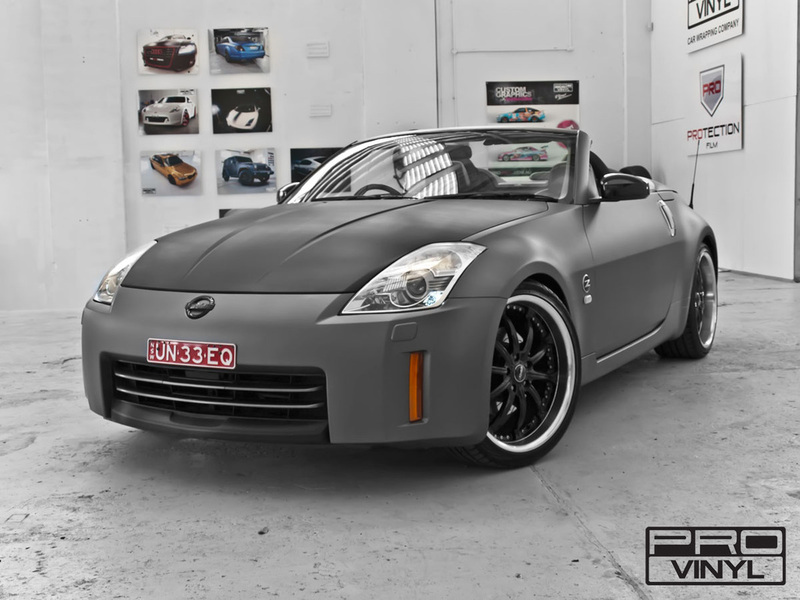 The change from plain gloss black to gunmetal grey has breathed new life into this Nissan 350Z coupled with a carbon fibre wrap on the bonnet and lower front bumper lip PROvinyl have once again revamped and refreshed the look of the car to better reflect the owners want and desire for his ride. 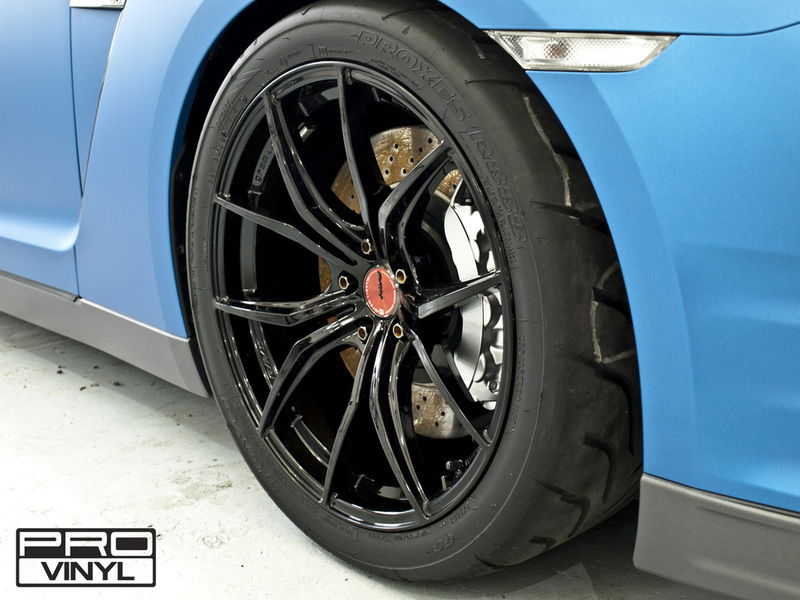 The owner had already fitted a set of black wheels to the car and came to PROvinyl to have the rest of the package brought together. 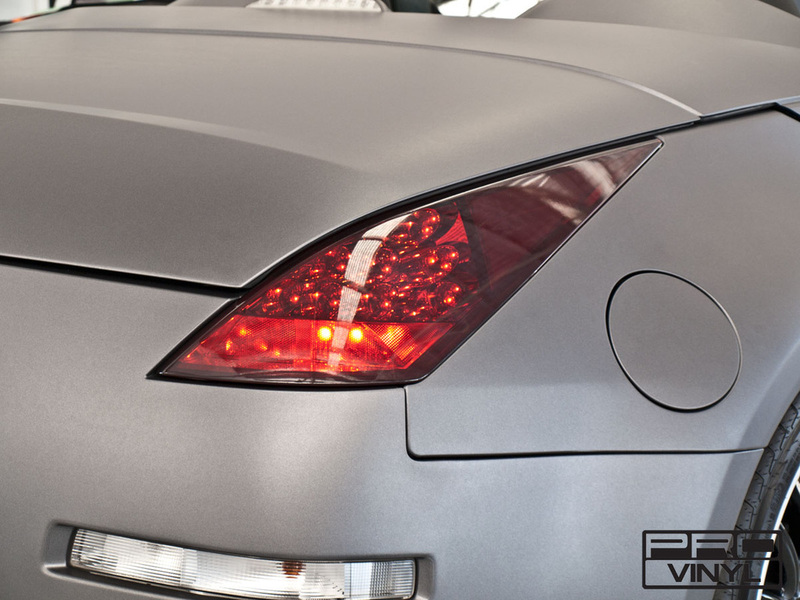 With some helpful guidance with some ideas and a look through the many custom decals, vehicle graphics and wrapping vinyls we have at PROvinyl there was soon an idea in place and so we began. 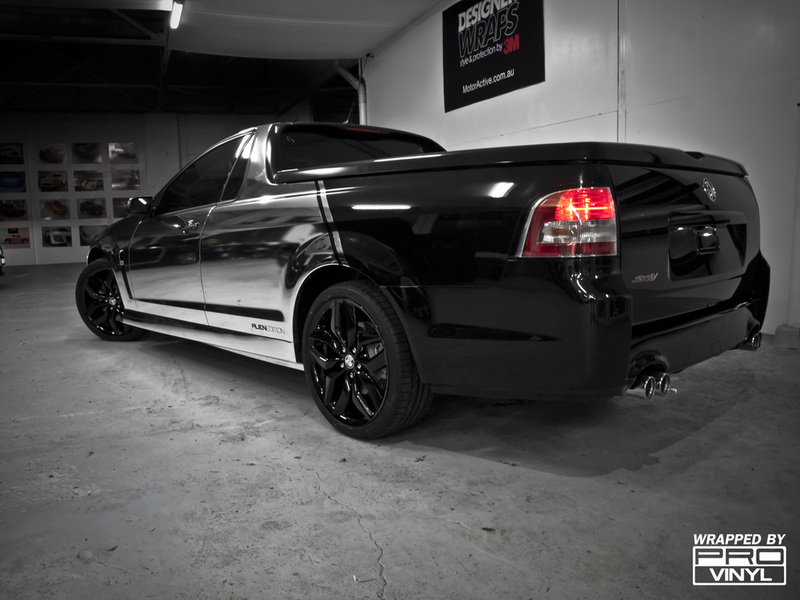 With the package then so near complete we decided black badges were in order and that tail light tints would finish off the tuff street car look. Congrats to the owner on having the best looking 350 around! 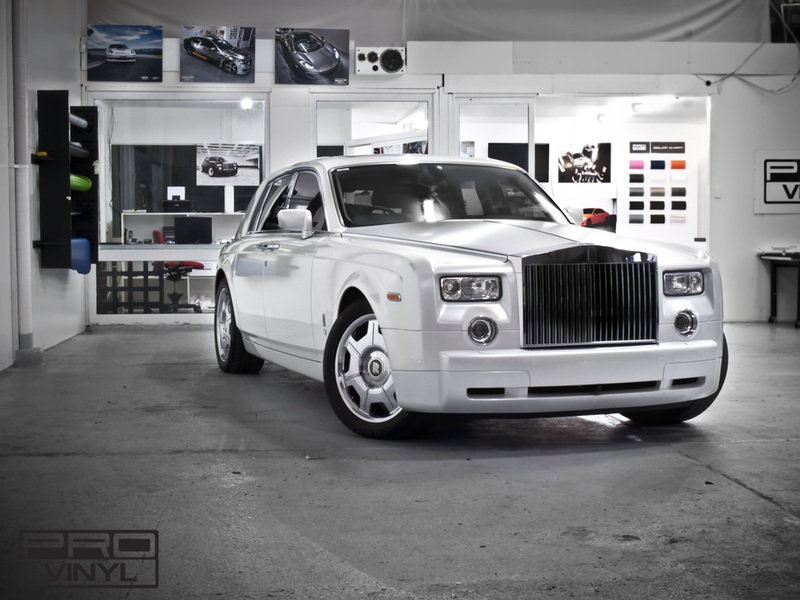 The Rolls Royce Phantom. 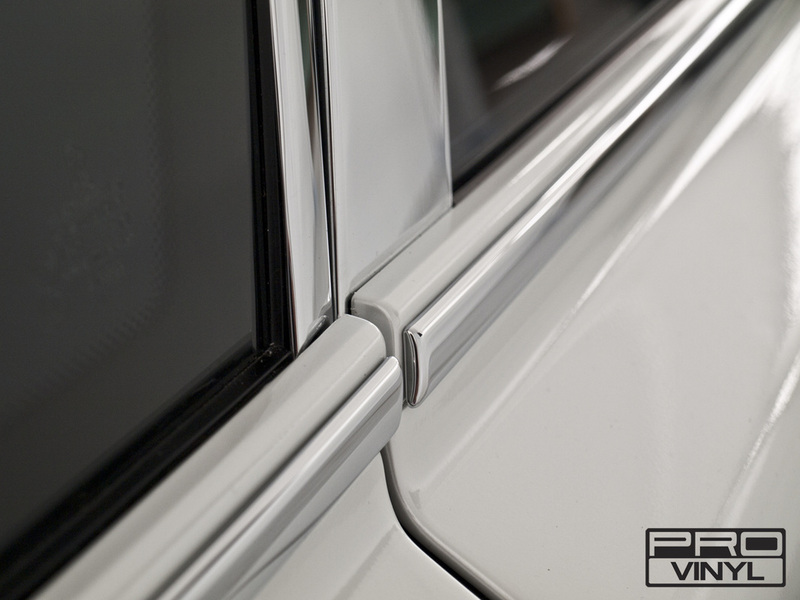 Its hard to imagine taking a luxury car of the absolute highest level and making it better, but that is exactly what we did at PROvinyl this week. 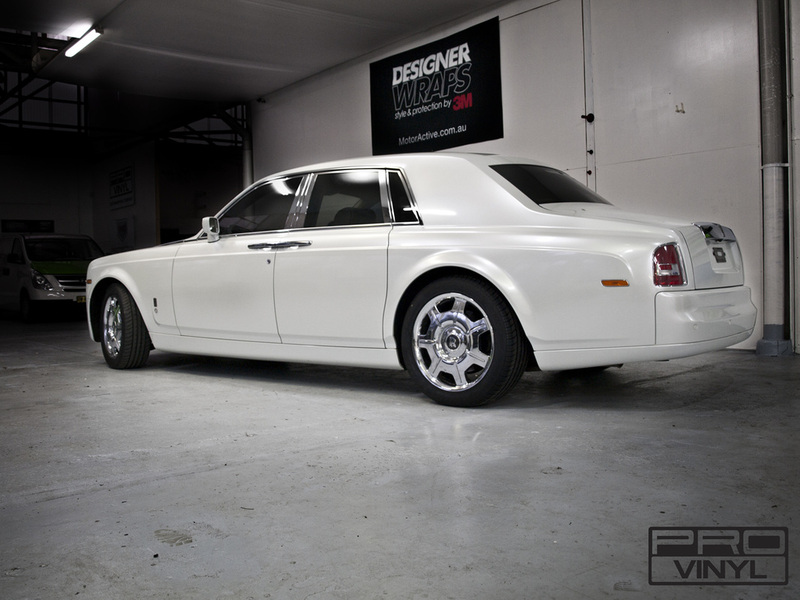 Straight from the Rolls Royce dealer itself this Phantom came in for a change from a bland brown/grey colour to the super classy pearl white finish you see before you. 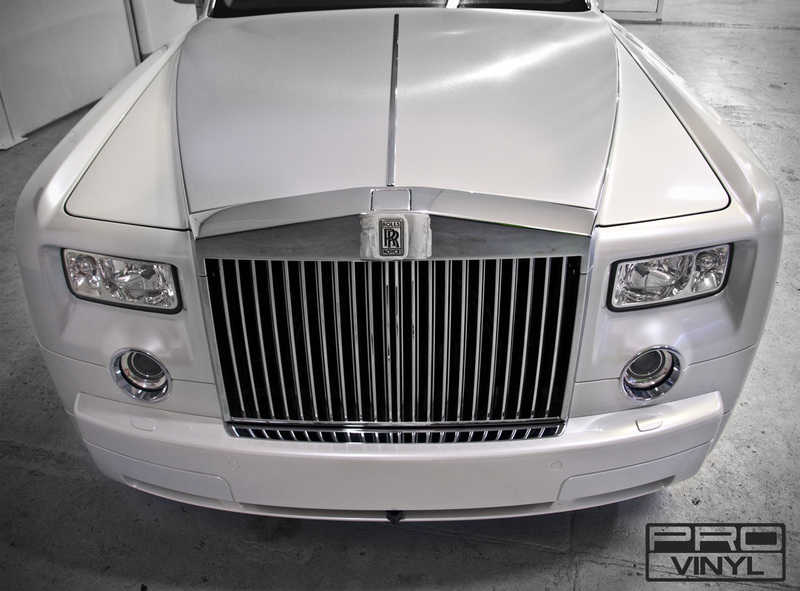 The change to pearl white has made this Phantom look ready for Royalty and you can only imagine feeling like a rockstar arriving in a pearl white phantom. 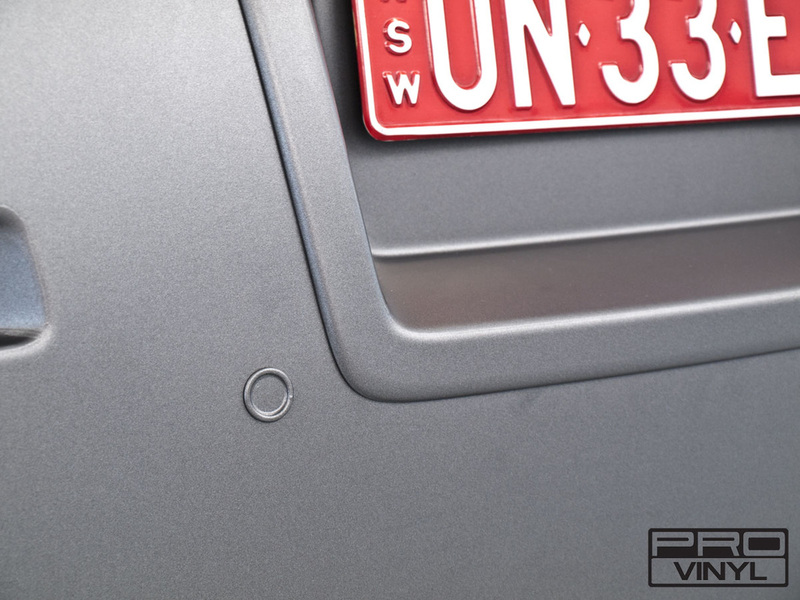 The PROvinyl team strikes again! 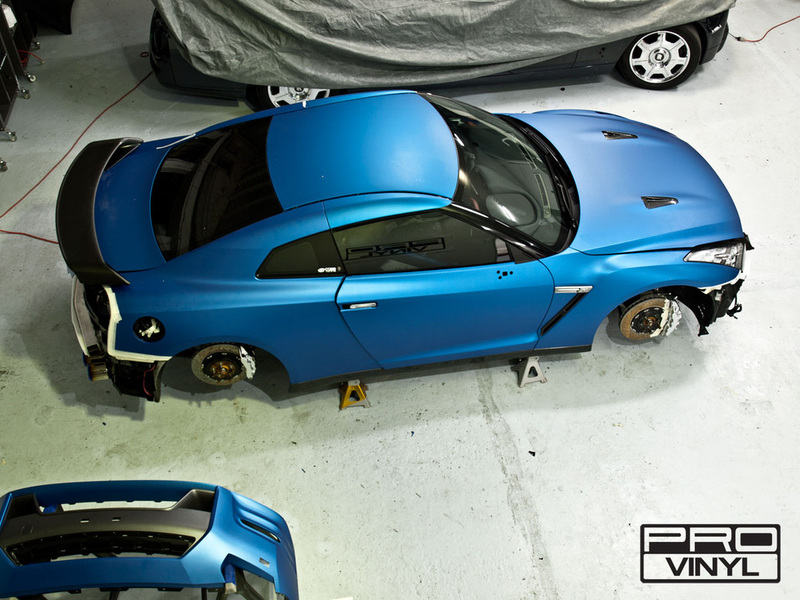 The latest creation from the craftsmen at PROvinyl, this 2013 series 2 R35 GTR has been customized over the course of a week to bring to the owner a one of a kind head turning jaw dropping ride. 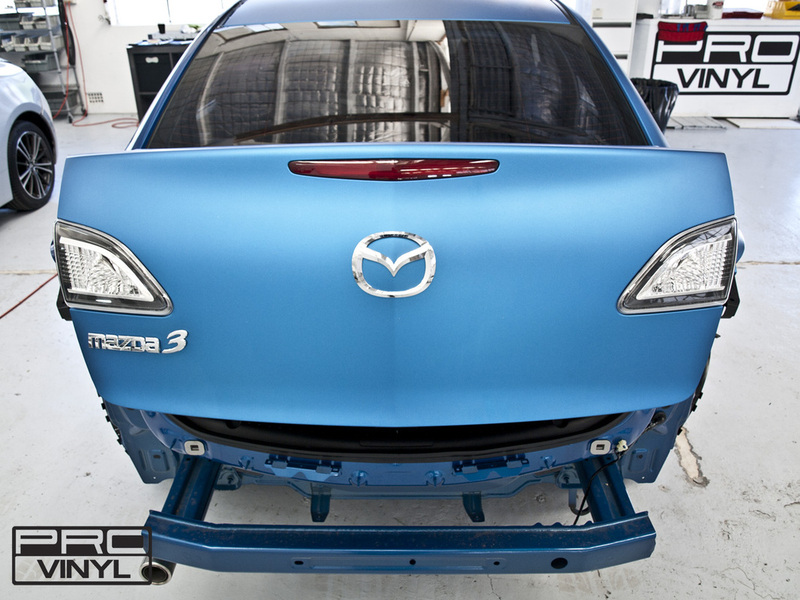 The 3m matte metallic blue body, coupled with a touch of the matte metallic grey for the front splitter, sills and lower rear bar brings together a package, that just leaves you standing in awe wanting more. 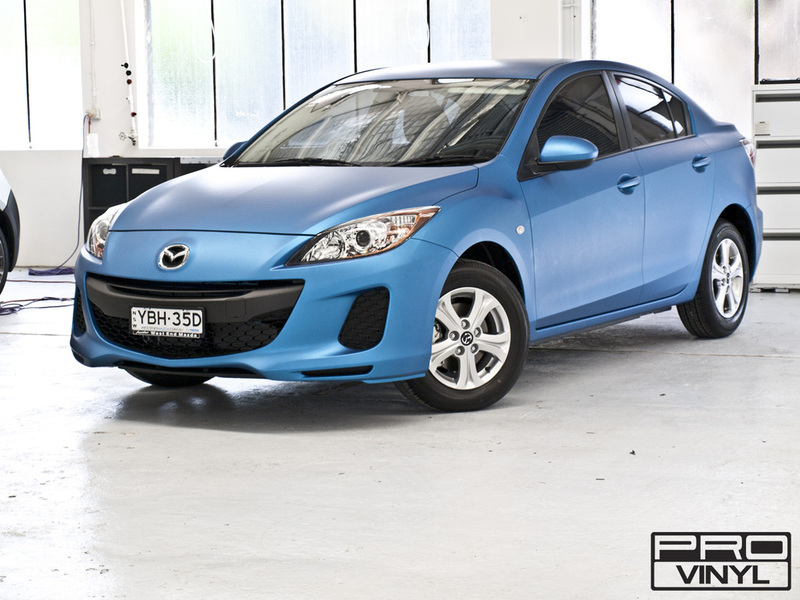 matte blue finish we can take any car and give it more personality, appeal or individuality. the proof...Is in the streets! From the ordinary to the truly sublime: that’s all we can say after our complete wrap of this showroom-new Audi S5. Our discerning owner demanded something different - something that would evoke arousal and envy. 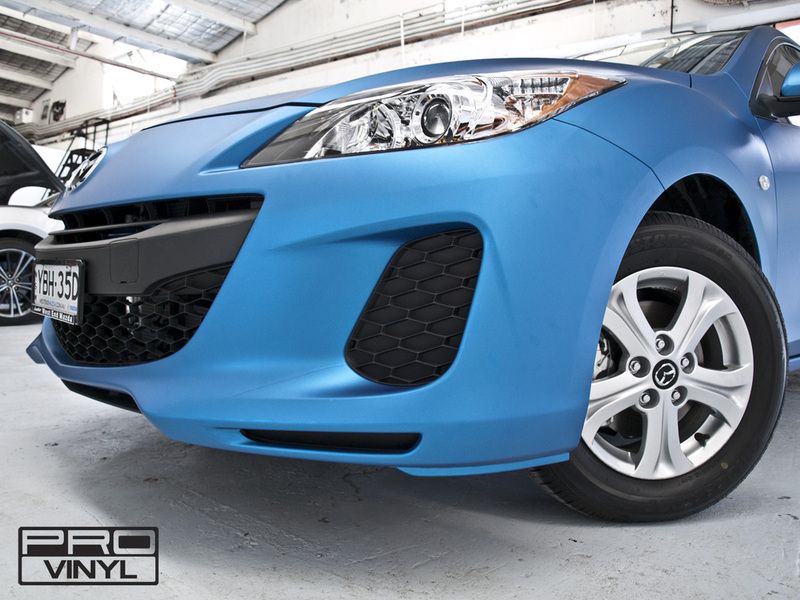 His choice of a silken-touch matte blue finish hits the spot in a very enchanting way. 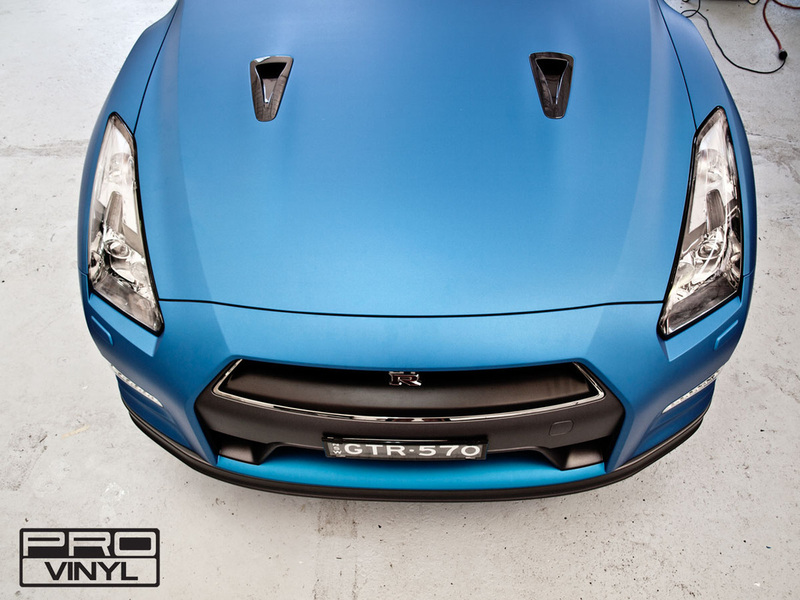 Exclusive to PROvinyl, there is nothing that comes near this colour on the domestic market. Like silk, it changes in hue with the light and angle of view, turning, magically, from light blue to a deep soft blue. 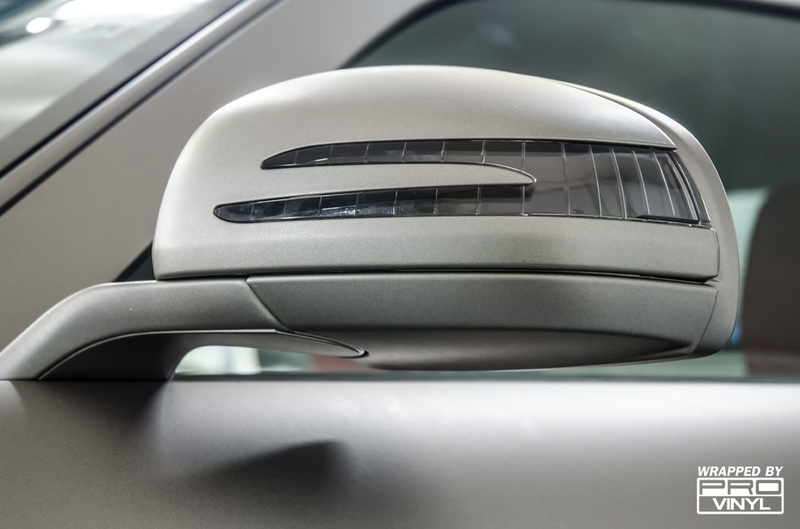 Meticulously moulded to the S5, it is a car-show-worthy finish that you can take to the street, guaranteed to draw admirers. 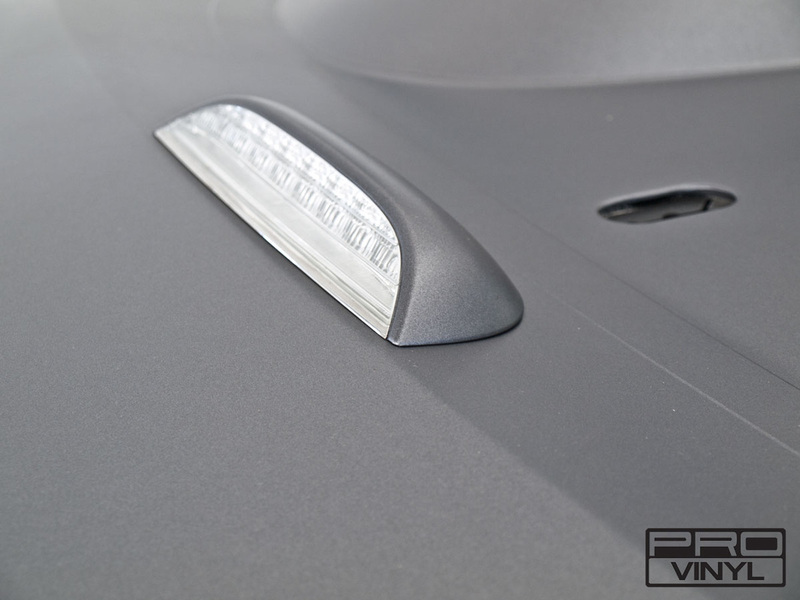 If you are looking for material and application technique that is always streets ahead, you know where to find it – only at PROvinyl.